Here's the latest update for Toggle app(v8.0) for Mini Militia v 2.2.59 with awesome features in it. First of all, I really wanna apologize to you guys. I couldn't keep ma promises twice, all because of some serious health issues caused in the previous days. But, don't worry after long resting, now am 90% back to a steady health condition. The no root version of this app will be released as soon as I complete the final touch ups in the code and UI. Please feel free to express your opinions and ask your doubts through comment box. And for those who sent me personal mails and mails via contact-me page, I am reading all those mails and am replying to the mails that deserves a reply.  I do apologize, if I failed to reply to your mails(Getting like 100s of mails each day). 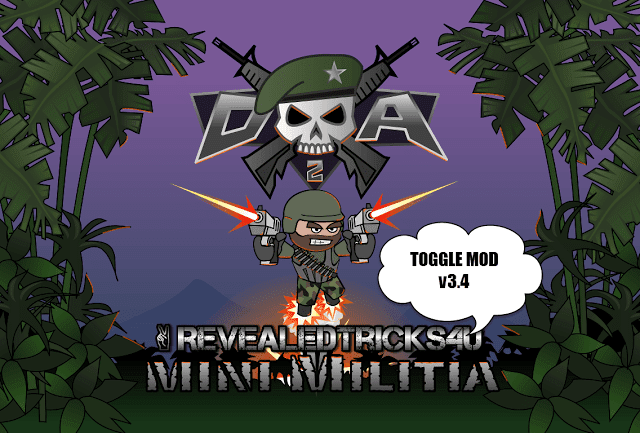 MiniMilitiaMods-UPDATED-v7.0-RevealedTricks4U.com.apk - (1.53 Mb). - Click on Skip Ad after clicking this link, to get the download page. Do not forget to share and subscribe ;). Awesome really fasted mod toggle release ever i seen. But there is no new features. :( new features stopped at v5.0 toggle.. there is nothing in 7.0 same old mods. that one is very disappointed. There's no new features, as I've already stated that my health condition is not that good to strain on computer. But, expect soon ;). Thx man very fast for update!! I am still working on the respawning time bug. That's why I stated "In development" near that feature in the toggle application. Where is non rooted app? Will be released soon, still under development. It's already in development stage. Will be released soon. I want a toggle mod of mini militia version 2.2.59. Dont woory becuz my phone is rooted. Will be released today or tomorrow. Please please please please please please!!! add this mod if u can for mini militia:-reduce the hit taken from other people. and ur site is "awesomeeeeeeeeeee"
but in mini Militia there is login error occurred. 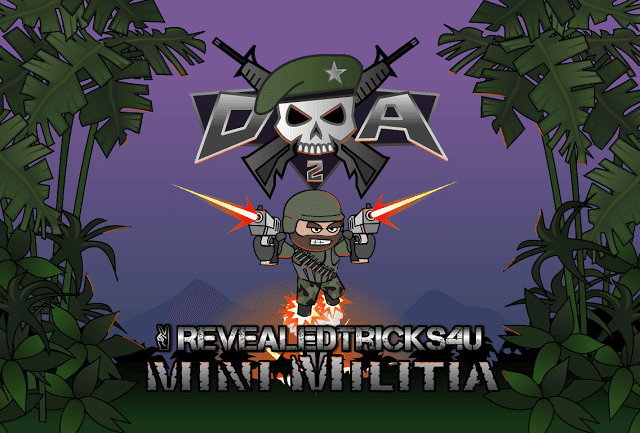 Why you always concentrated on minimilitia hack?